Where most skin products are addressed to women, DaVinci skin Care Grooming for Men is specially designed to cater for the male skin requirements, nutrition and skin elasticity maintenance. A facial scrub that gently exfoliates the skin in 5 minutes, with Apricot and Walnut. Give your face a good scrub! 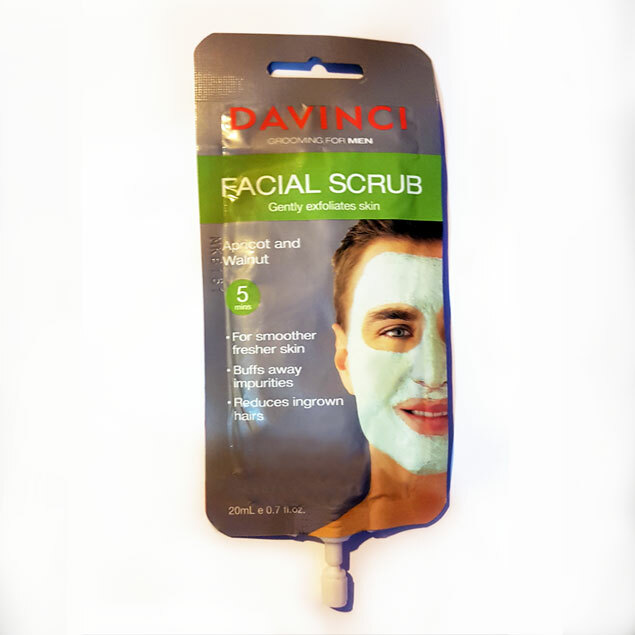 DaVinci Facial Scrub assists in the removal of dead skin and eliminates impurities for a fresher, smoother, younger looking you!